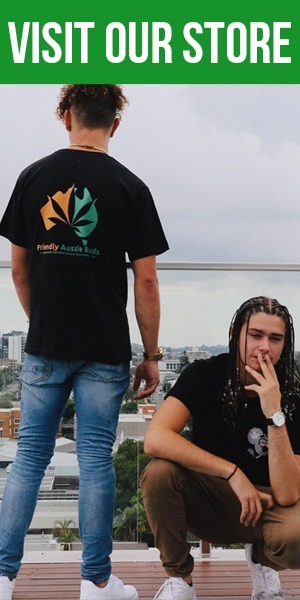 Crucial to growing good cannabis in Australia and anywhere in the world is giving consideration into what kind of soil you wish to use. Do you want to go with real soil, organic soil, a clay pebble hydroponic setup, or maybe something in-between? Well, if you’re not quite sure, you’re in luck. This is a beginners’ guide, so we’re going to give our opinion on what soil is best for those beginning to grow cannabis indoors. So with that, we give two options: Coco Coir and good ol’ regular soil. Coco coir has become a very popular choice in cannabis cultivation, as it allows for complete control of nutrients, encourages fast growth and allows for fast drainage of water. 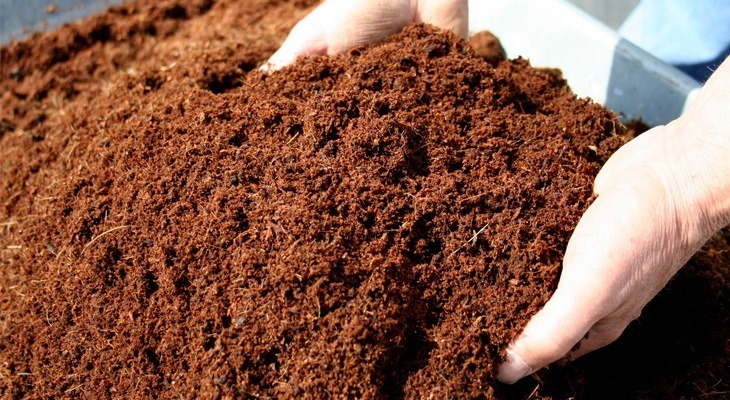 Coco Coir is made from fibrous coconut husks, and can be used as a soil. Often referred to as ‘soilless soil’, it has a similar look and feel to dirt, but contains absolutely no nutrients for your plants. So what about soil? Well, soil is what most people are familiar with when it comes to gardening. This is the most popular medium for growers who want to produce organic cannabis. Soil can be used for indoor growing, but is mainly used outside. The big difference between the two mediums is that coco coir contains no nutrients and fertile soil typically contains entire ecosystems of nutrients. Coco coir is a growing medium that allows you to completely control the nutrients your cannabis plant receives. It’s very similar to the traditional hydroponic setups, where the roots grow in water, and the plant is planted in clay pebbles. Instead, however, coco coir allows the plants to grow without a water pump running. There is a significantly smaller chance of failure with Coco Coir, in comparison to these hydroponic methods. Coco coir has excellent drainage, but is also incredibly absorbent. This makes it easier to keep on top of your plants hydration levels. Your plant won’t become thirsty too quickly, but they will need to be watered more than soil. Since Coco Coir is light and aerates well, it allows for the plants to grow really large whilst still maintaining strong and healthy roots. Coco Coir, in our opinion, is definitely the easiest hydroponic medium to use. The biggest issue with it is that you need to ensure the right nutrients and dosage for a high quality yield. However, this actually isn’t too hard if you’re willing to do a bit of reading and researching. Be sure to infuse the right nutrients, and you’ll have next to no problems! All in all, growing in soil is just less work. You don’t need to water it as often, and you don’t need to measure out nutrients nearly as much. It’s less time consuming. You do lose some scientific control over how your plants grow and what they’re fed. If you’re after a natural method of growing cannabis, however, soil might be your best option! The One Key Ingredient …Perlite! Something we haven’t mentioned yet is perlite. 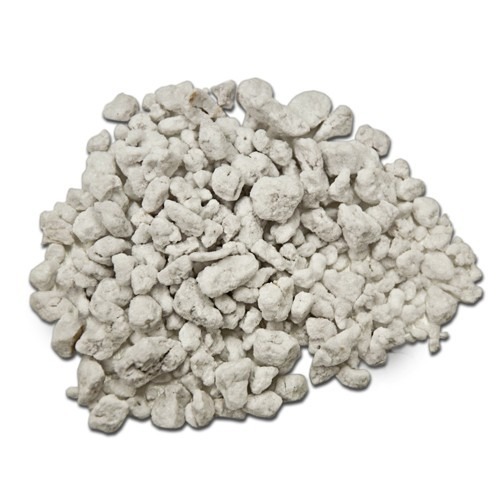 If you use soil or coco coir, you’ll want to add some perlite to your mix! Perlite is a neutral addition to any soil. It aerates the soil, making it lighter and promoting root growth. Additionally, it keeps away unnecessary moisture and root rot. Perlite is volcanic glass, basically. Little white rocks that help your plants grow better. Thank Mount Vesuvius! With Coco Coir, we recommend using around 30 percent perlite with your either soil of choice. This is strongly recommended as your plants will simply grow better! So where do I buy my soil? Your best bet to buy Coco Coir is at a local hydroponic store. They’ll also stock perlite. It’s also possible to order all of this stuff online. Coco Coir generally comes in two forms. One where it’s hydrated, and one where it’s a tight brick, which you need to hydrate yourself. You can buy the bricks online, or at a nursery/hardware store. 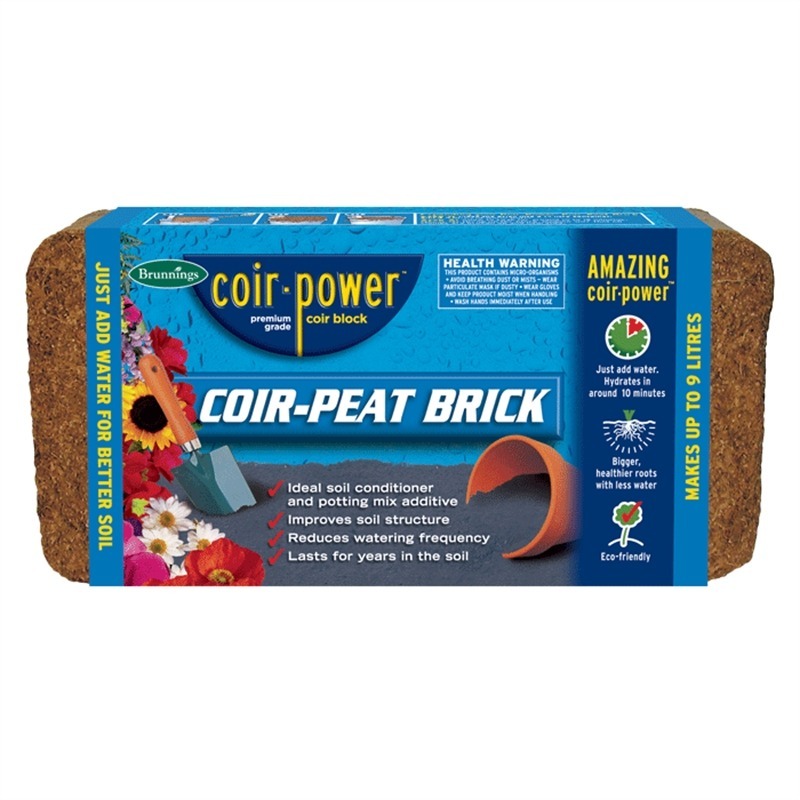 A 600-gram brick will make up about 9 litres of Coco Coir. They’re about $9 per brick on eBay. If you head down to Bunnings, you can get it for $2-3! You can also buy a pre-mix of coco coir and perlite (50%/50%) at most hydroponic stores. It’s also available on eBay for $45! Mind you, this is a more expensive way of doing it. But you pay for convenience! To find out how much soil/coco you’ll need, be sure to read our potting article. As for traditional soil, you can always pick that up from Bunnings or a nursery. The best soil for cannabis from Bunnings is a premium potting mix, The Osmocote Professional 25L Premium Potting Mix. It will do you alright, for just $8! If you’re after some premium soil, check out the CANNA Terra Professional soil from CANNA. 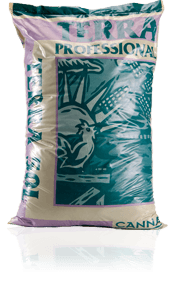 You can purchase CANNA soil in Australia throughout a lot of hydroponic stores and nurseries. Take a look here to find your closest dealer. Looking for some incredible organic soil? 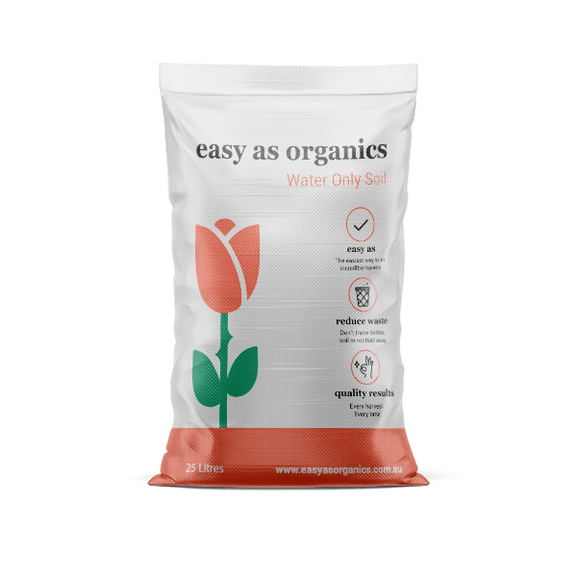 you can also check out Easy As Organics! They offer soil which you will only need to water and add no nutrients to throughout its growing cycle. We’ll have a more in-depth article regarding using living organic soil soon! Use the code FABEAO2019 for 20% discount on all their Water Only Soil as well as our amendments. Check out Easy As Organics! In summation, whichever soil you choose, be sure to buy some perlite. Mix it in at a 30-50% ratio to the soil. It’s also a good idea to add sand and rocks to the bottom layer of your soil. This prevents bugs from living in the soil by cutting off the entries through the drainage holes. 2cm of sand up top can also a good idea to stop the bugs. This shouldn’t be too much of an issue indoors, but it can happen! 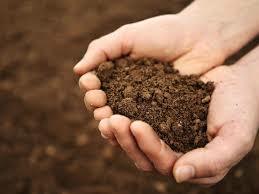 If you have any more questions or comments regarding soil, feel free to contact us or leave a comment. 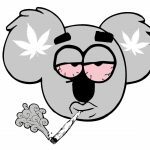 Additionally, you can go back to our main guide here, or get a wealth of information on Grow Weed Easy. Also don’t buy soil with slow release nutrients!